Before talking about the forgotten Disney princesses, let’s say a few words about the ones that are still popular. We have all been introduced to some remarkable, shining Disney princesses. Girls like Ariel, Snow White, Rapunzel and Merida surely can turn anyone’s lousy childhood into an enchanting adventure for a lifetime to remember. Princess Ariel, the little mermaid, will take you with her on an underwater journey. She is eager to share her knowledge about humans and also to show you her vast collection of human objects. Rapunzel and Flynn Rider are ready to guide towards the floating lights, and Tiana, the girl who used to be a waitress in New Orleans, will take you on a trip on the bayous. These are some classy, noisy Disney princesses. In the past few years, their popularity has grown even bigger. You may have played some games featuring these famous princesses. 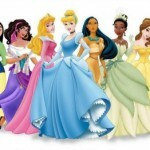 If you haven’t, we encourage you to do so by visiting our Disney Princess Games section. 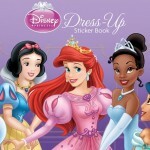 You may also have some posters with Princess Belle or Mulan that you like to show your friends to. And this means you have a wonderful childhood indeed. But you are forgetting about some not so famous Disney princesses that are likely to tell you their fabulous and entertaining stories. That is why we encourage you to read this little article in which we present you some of the forgotten Disney princesses. Let’s go! You can easily recognize this beautiful Indian princess, due to her turned up nose in a quite snobbish manner. Judging from her name, Tiger Lily is indeed a proud and brave little girl. She is the daughter of a Native Chief, just like Princess Pocahontas. But because in Peter Pan animation movie she plays a secondary role, Tiger Lily is not considered an official Disney princess. Nevertheless, you should not pass beside her, since she is a girl worth meeting. 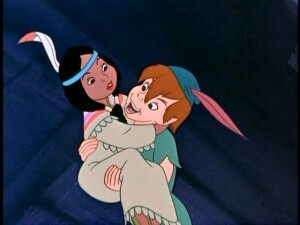 First, she is a good friend of Peter Pan. 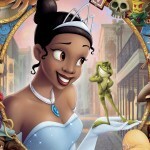 Second, she is able to trick Captain Hook a few times, and that is undoubtedly worth a watch. There are even some games featuring Tiger Lily out there. Don’t miss them! If Tangled and Sleeping Beauty had a great deal of popularity after being released, The Black Cauldron didn’t meet developers’ expectations. That is why you most likely overlooked Princess Eilonwy, a slender, twelve-years-old girl. The fans gave Eilonwy another name – the forgotten princess, due to her unpopularity. In The Black Cauldron, Eilonwy, after being taken hostage by the Horned King, an evil scary creature, she meets Taran. They both manage to escape King’s realms and depart for a mysterious adventure filled with dark creatures that lurk just about everywhere. Mystic magic swords, dark dungeons that are filled with rats – Eilonwy, Taran and Gurgi, a dog-like creature which is friend with Taran, have to go through all of this in order to trade out the Black Cauldron. It is a dangerous adventure, and it is also a story about sacrifice and friendship. Will you follow Princess Eilonwy on her trip and live one of the darkest Disney stories ever crafted? Romantics believed that mermaids are one of the most beautiful creatures on the earth. Their voice is so beautiful and tempting that the sailors that happened to hear a mermaid singing would usually drive their boat straight into the rocks! And indeed, Ariel, the little mermaid is a gorgeous girl. She is in love with just about anything concerning humans. That is why she collects human objects and stores them at her dark, mysterious grotto. Ariel usually spends her time outside her father’s castle, since she adores to explore the underwater. But did you know this beautiful girl with big, expressive green eyes actually has exactly six (!) sisters that are merely beauties?! Oh, yes, she does! King Triton’s daughters have the same status as Ariel does. 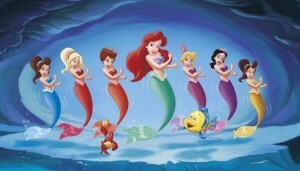 Attina, Alana, Adella, Aquata, Arista, Andrina – aren’t these some gorgeous names for mermaids? Unlike adventurous Ariel, the rest of King Triton’s daughters spend their time inside the castle. The eldest one is Attina. As the oldest daughter of Triton, she is the most responsible one. And she is also the one to blame everything on! Adella, for instance, just like Ariel, is in love with humans. She is believed to be a little boy-crazy as she desperately desires to dance and kiss a boy. But she is afraid to go beyond her father’s rules, and that is why she isn’ the one who gets all the fun. Ariel gets it instead! If anyone cried when watching a Disney movie, it most probably happened when Mufasa, Simba’s father died at the cliffs. It is one of the most heart-wrecking moments in all history of Disney animated movies. The Lion King itself was a memorable movie. A film that just sticks with you. 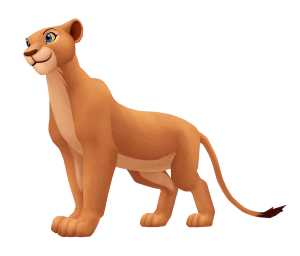 However, what even the most experienced Disney nerds forget about, is that Nala, Simba’s wife, is actually a princess. Not only humans can be princesses. Nala is a good, thoughtful lion-princess, that cares deeply for her pride. As a wife of a King, she is cautious and judgmental. She plays an essential role in Simba’s story mostly because of her affection for him. Nala is a model of behavior worth following, and yes, she is a princess! And the last, but not least of the forgotten Disney Princesses, is Princess Megara. It takes pure Greek beauty to seduce a hero like Hercules. Megara’s features are all beautiful. Her fair skin and her bright, broad smile make Hercules lose his head completely. But princess Megara, who in Greek mythology was the princess of Thebes, doesn’t seem to be fond of a guy like Hercules. In general, princess Megara has a low opinion on men due to her past negative experience with Adonis. So, it takes her spending real quality time together with Hercules until she begins to be romantically attracted. Later, she becomes his wife so we can believe Hercules accomplished his dreams. 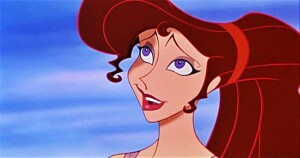 As a young Greek princess, Megara adores being sarcastic so you will find her very interesting. You can know her closer by watching Hercules: The Series. Be cool and don’t forget folks, that a boy or a girl is not always born to be a prince or a princess. Sometimes you just have to become one!